Have you ever bowled a perfect game of 300? For those who haven’t visited a bowling alley since their early high school dating days, a perfect game requires hitting 12 strikes in a row. If you’re a horrible bowler such as myself, a “lucky strike” is not only a brand, but what people yell out if I was to luckily stumble my way to a strike. If you were to ask a professional bowler what it takes to consistently bowl for strikes, most would attribute bowling success with consistency. Consistency in the bowling ball one uses. Consistency in the ritualistic approach to the bowling lane. Consistency in the release of the bowling ball. If you want to hear that roar from the crowds at the bowling alley for throwing strikes, one must invest their time into perfecting the art of bowling. 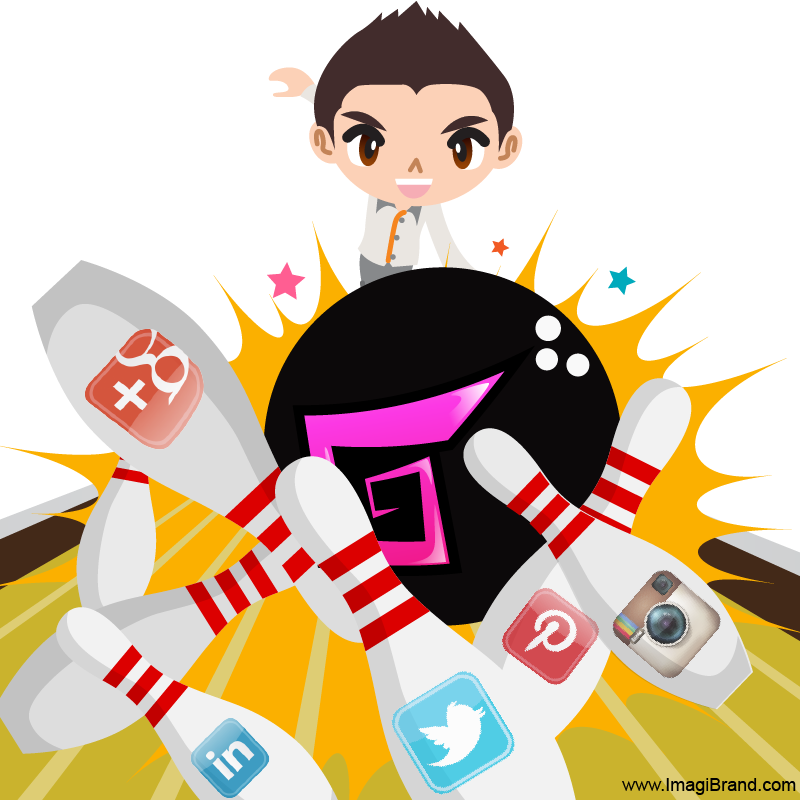 Let me explain what bowling consistency has to do with social media engagement by first laying out some background as to why I want to discuss the importance of consistency. While social media marketing for brands has come a long way in a relatively short amount of time, it is still foreign territory for many traditional companies used to their archaic marketing methodologies and mindsets. 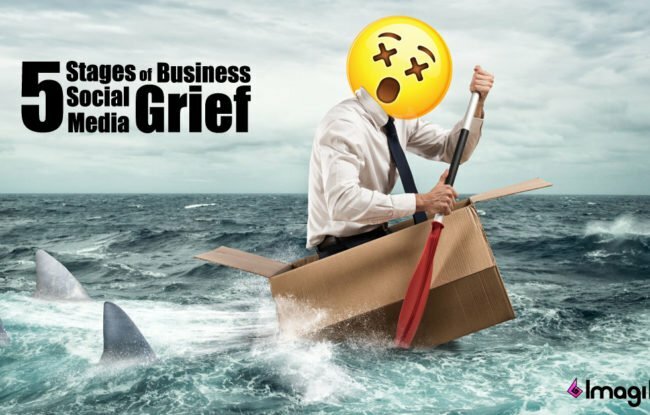 Nearly once a week, I receive a phone call from an established company in a mature industry that is desperate to grow their presence on social media. Sometimes I’m speaking to a director of marketing tasked with a new company initiative to solve their social media problem or sometimes it’s the CEO seeking expertise outside her or his present marketing team. Regardless of industry, the stories are always the same. They made an attempt with their internal team to start social media, only to abandon their efforts after a short period due to a lack of early success. I always inquire of their reasons for using social media in the first place so as to gain a better understanding of their overall marketing objectives and how our social media agency might help them integrate social into their overall marketing plan. Usually motivated by their competitors that have finally decided to join the human race on social, these companies are almost always chasing the wrong social media metric. Nine times out of ten, the company’s leadership is wrongly obsessed with growing their fans and followers. Having been on this rodeo many times before, I take the time to educate them about the importance of first developing a social media marketing strategy from which to build their brand on social with the intent to chase social media engagement and the result being growth in their number of fans and followers. Unfortunately, this message is not what many of these companies want to hear. At the end of the day, it can be difficult to teach old dogs new tricks. Ignorance mixed with a blend of stubbornness and laziness leads to chasing meaningless metrics that does very little to serve the best interests of a brand. As much as it pains me to turn away business, it’s much easier to explain that we’re not the right solution for what they’re seeking once it becomes apparent that they’re not genuinely concerned with building a social brand. Now that we’ve established social media engagement as a worthwhile goal for a brand, how does one go about obtaining it, growing it and sustaining it? The answer lies in the philosophy of Occam’s Razor, which states that the simplest answer is often correct. The only way to increase social media engagement for a brand is through the simple concept of CONSISTENCY. A professional bowler aspires to bowl a perfect game of 300 each time they enter the bowling alley, but they know quite well that only through bowling consistency will they ever bowl 12 strikes in a row. The logo representing a brand is usually the centerpiece of their visual identity. This has been the case for centuries long before the existence of social media. However, social media has reinforced a long-known social phenomenon called The Mere Exposure Effect which we wrote about in a previous blog about social media advertising . The Mere Exposure Effect states that when people are repeatedly exposed to something, they will develop a preference to it over time. In other words, the more familiar people are with something, the more they tend to like it. Therefore, the art of repeated exposures to a brand’s logo on social media has the potential to influence consumers to develop more positive feelings toward a brand and will be more apt to consider their product for purchase. This psychological phenomenon of mere exposure stresses the importance of making sure your brand logo has an ease of readability as a word mark and easily understood and recalled as a symbol popping into people’s social media streams. For example, Mercedes-Benz has a fairly long brand name, a total of 13 characters in length. If they were to use their word mark as their profile image on social media, it would be difficult to discern the identity of the brand as a tiny profile thumbnail passes through one’s social stream. 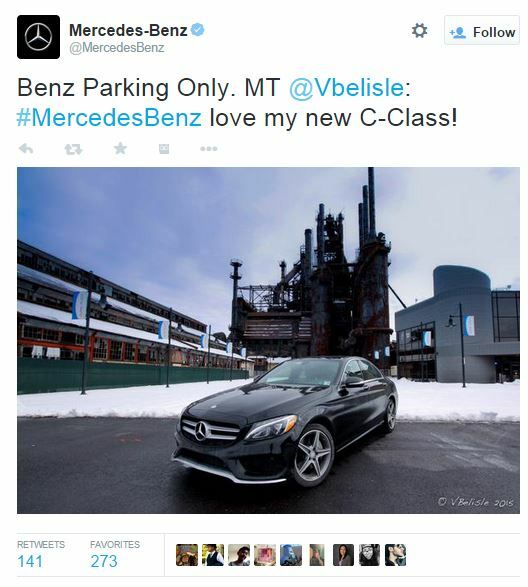 The people at Mercedes-Benz obviously avoided this by using their iconic three-pointed star logo as their social profile image. 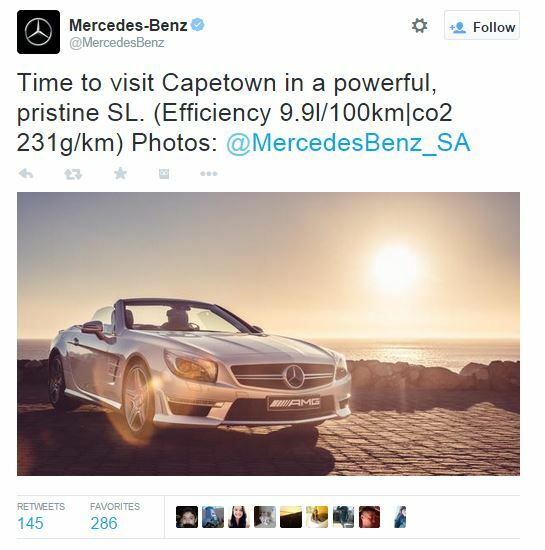 If Mercedes-Benz had used their word mark instead of their symbol, it would have been an enormous missed opportunity for repeated exposures of their brand through a simple profile image of their symbol flashing on desktops, mobile phones and tablets of the thousands they touch on social each and every day. Social media branding extends far beyond just a logo. From the cover photos on each of their social media channels to the branded content that the brand posts on a daily basis, the visual identity for Mercedes-Benz must stay consistent with the essence of a brand which represents luxury, sophistication and elevated performance. How inconsistent would it be if the Mercedes brand were posting photography, graphics and videos using loud, vibrant colors and featuring backdrops of crowded beaches and hip-hop music? It would only create a chaos of brand confusion. Mercedes-Benz clearly understands their market and their visual identity. Their imagery on social is consistent with a sleek, timeless brand which appeals to our desire for simple elegance. 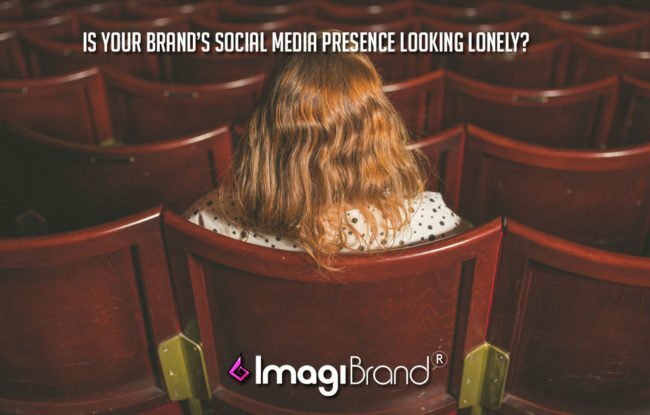 If a brand approaches our agency looking for immediate marketing results using social media, I have to give them somewhat of a reality check that social media is a long-term investment in developing a relationship with your consumers. 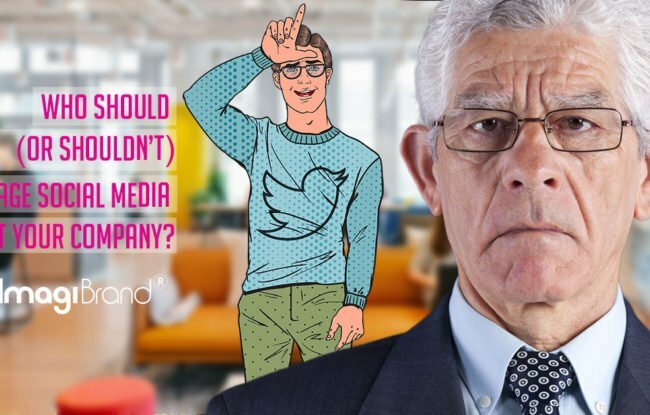 Unlike a traditional television commercial where a brand can dump however much money they want into forcing one-way brand messages on an audience, social media audiences want to discover genuine brand messages offering more than the traditional sales pitch. Consumers want to identify with the brand personality they experience consistently on the social channels they follow. One of my favorite brands on social that has a larger-than-life brand personality and an incredibly fun brand message is Oreo. Spend some time on Oreo’s Facebook page or their Twitter account. Their social is filled with a consistent stream of nostalgia. Their latest hashtag campaign #PlaywithOreo has produced such wonderful creative from playful Vine videos to graphics inviting Oreo lovers to share their cookie-obsessions, dreams and love of dunking! Oreo’s daily contribution to social media shows their understanding of the relationship building that occurs over time. It’s never about one single campaign and then wrap it up and call it a year on social. It’s a continual process of showing a genuine commitment to a message and a personality, day-in and day-out. It’s this consistency which strengthens the level of social media engagement that exists between a brand and their consumer, which in most cases, leads to more loyalty for the brand. Social media is a beast that has a huge appetite for content. Any good social media strategy contains a plan for producing branded content to feed this social media beast. Without a content marketing strategy it is difficult if not impossible to brand a company on social. In order to grow your level of social media engagement, there needs to be a reservoir of branded content ranging from photography and graphics to videos and blogs. Ideally, a brand has a focused strategy in place with enough content produced so that the social media beast can get fed on a daily basis. 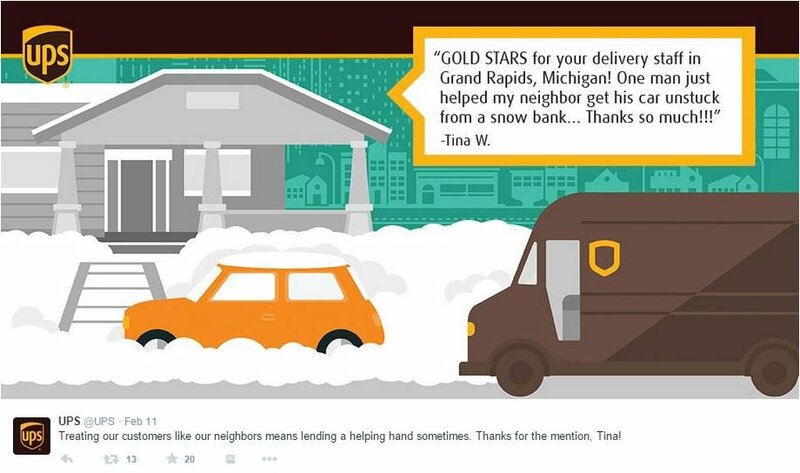 UPS is a prime example of a brand that likes to feed its social fresh content every day. Their content consists of a wide-range of creative which share customer stories, provide educational tips and inform their community of changes with their services. It can be difficult to keep up with posting to multiple channels every day if there is not a team in place to help maintain that necessary level of consistency required to build social momentum. This is probably one of the greatest pain points we hear from brands. Social media marketing is not and should never be a one-person operation. It takes a multi-talented team to support consistency. In order to stay fresh with the ideas and campaigns coming from your brand, there needs to be a process which facilitates collaboration and ensures accountability for social within your organization. Social media posting takes great organization and planning. Every post and every tweet is representing the brand. Would your brand trust a random intern or assistant to design and draft the copy for the company brochure handed out to thousands at an industry conference or the landing page for your brand’s new website launch? Of course not. A brand should view each of their social media posts in a similar manner. Each post has the potential to build online brand equity or provide the arsenal to damage it. Therefore, it is essential that a brand entrust their social with true marketers that can execute a strategic plan across multiple channels on a consistent basis. A brand cannot expect to drive social media engagement with their posts for only a few days, and then expect your community to remain passionate about your brand with no posting activity for a week afterwards. A lack of consistency in your posting leads to apathy in your community. If your brand doesn’t appear to care about sharing consistently, why should your community remain consistently engaged? If you were to remove the “social” in front of media, it magically becomes traditional media, a medium by which a brand can push out non-reciprocal advertisements. Some brands have chosen to use social media this way, neglecting the opportunity to generate engagement with their following. Smart brands have decided to go completely in the other direction and opened up their brand to a continual stream of conversations between themselves and their customers. 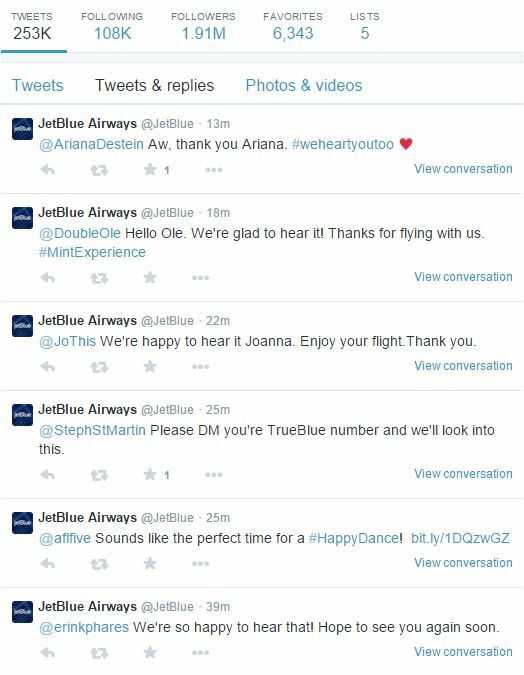 Have you ever looked at Jet Blue’s stream of tweets & replies? Every few minutes they can be found engaged in conversation from responding to customer shout-outs to troubleshooting problems their customers are experiencing. It is an impressive display of social media engagement at its best! There is simply no better way to solidify that bond between a brand and their consumer. It only works if your brand is committed to listening to the bad along with the good, and prepared as a brand to respond to all situations consumers love to throw at you. A brand simply cannot dabble with selective responses. For brands such as Jet Blue that pride themselves with providing stellar customer experience on and offline, timely response time is essential to maintain credibility. Jet Blue is able to respond within minutes on social media. This is impressive. Customers on social media have become spoiled by such quick average response times. It wasn’t long ago that average brand response time within an hour was considered commonplace. How quickly expectations evolve as brands step up their game. A great way to gain a big boost in consumer engagement is running social media contests and sweepstakes. Consumers love a chance at winning products and gaining recognition from their favorite brands. Social media campaigns can be huge drivers of excitement and conversations involving your brand. One of the keys to succeeding with driving brand mentions using social media campaigns is to host contests and sweepstakes with some regularity. In my experience, the first time a brand puts on a social media contest, it won’t receive the reception it receives a year later after hosting a few more. It always take time for consumers to follow campaigns being run by your brand before finally entering, sometimes needing to see evidence of past winners to validate your contests in their mind. Much like the mere exposure effect for your visual identity, trust in your campaigns work in a similar fashion. People need to see a consistency of campaigns over time. As a result, your brand will see greater results with social media engagement with each contest or sweepstakes they run. One brand that immediately comes to mind that maintains a consistent stream of social media campaigns is Guess. Being that they are always promoting their campaigns on nearly every social channel possible, it’s difficult not to take notice and be impressed by their commitment to engaging their community through the campaign process. 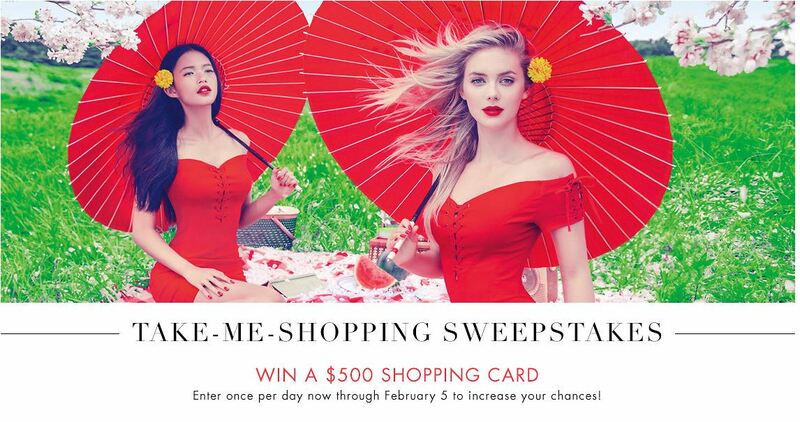 From fun hashtag campaigns for a chance to win Guess gift cards to large shopping spree sweepstakes, Guess has a focused strategy to raise brand awareness for their new seasonal apparel by asking their fans and followers to involve themselves on a campaign journey. Is your brand chasing fans and followers or is your brand chasing social media engagement? A brand only chasing fans and followers is akin to a bowler chasing the gutter instead of targeting pins down the alley. Success on social media is all about chasing engagement. Obtaining a passionate following requires a true commitment to developing the consistency necessary to become identified as a social brand, not just for the moment, but for the long-run. Consistency allows consumers to identify with what your brand is about and how your brand likes to communicate the message behind its products, personality and values. Social media is a conversation that never ends, a brand story that grows along with its consumers.